Oh knitting, I have not abandoned you. Even though I found my Blue Jeans Lace Shawl in the glove compartment…..tucked away during some college visit or other….I have been sneaking around with my sewing. We have been meeting late at night, and even in broad daylight! Please forgive me! Dear knitting, just so you know that I love you, let me show you how you move me…. Have you seen these adorable socks on Purl Bee? I can hardly wait to make some! I had the good fortune to “meet” Grace who has a fabulous shop on Etsy called Knit Art By Grace. 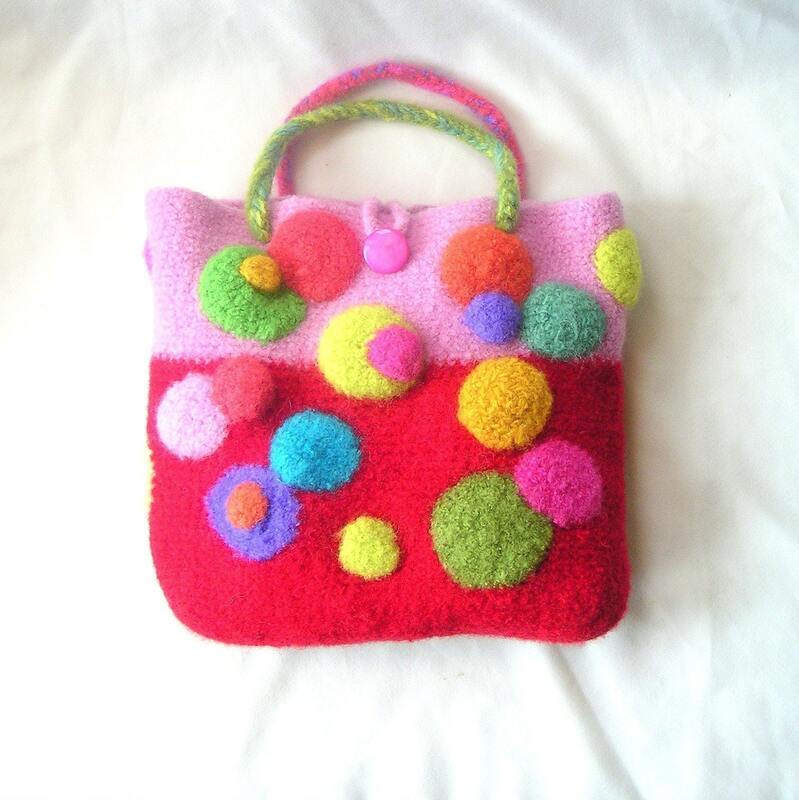 She sells the most adorable pattern tutorials for felting crochet and knit bags. She was very kind to help me with some information about patterns on Etsy. 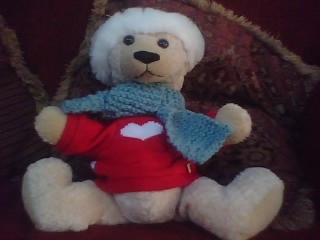 Finally, I have to share this adorable teddy bear and his newly knitted scarf. The newest member of my knitting club, a sixth grader, was a quick-learning student. She made this wonderful scarf for her bear out of a lovely wool. She should be proud that she was the only member to finish an item this year! love the socks! thanks for sharing-hadn’t seen those yet.